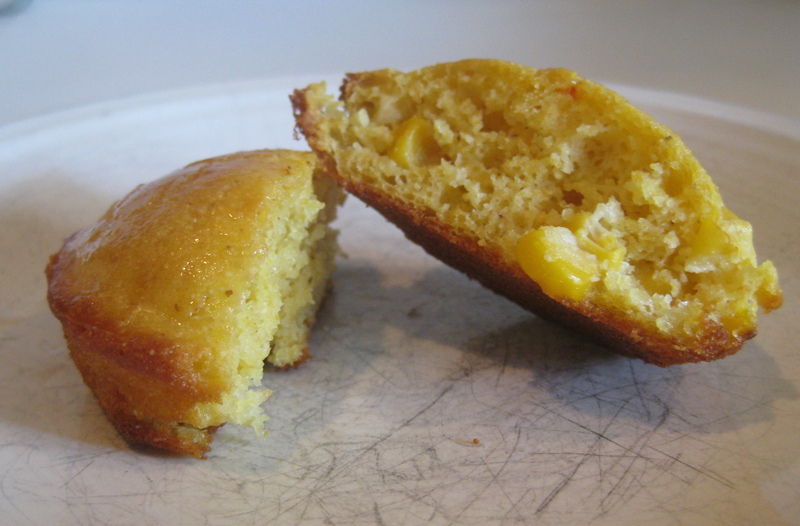 I hadn’t made cornbread in years (the kids weren’t wild about it, so another item fell from the menu) but stepped up to the plate for an office party. Perfect for the fall, it can be served at the table or brought along on an outing. Preparation time’s less than an hour and, for parties or picnics, it can be made a few days in advance. Below is a basic recipe with a spicy alternative. Traditionalists would use a cast iron skillet. Since this is for a potluck I’ll use a muffin tin.